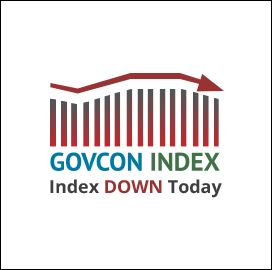 The Executive Mosaic GovCon Index (GCI) reversed it’s positive direction from last week to close down 0.308 percent to 97.774. Decliners outpaced advancers 2 to 1. 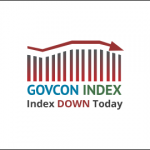 After last weeks record highs the major indices had minor changes on the day closing mixed with the S&P500 and DJIA down and the NASDAQ Composite up. The markets await quarterly earnings reports to determine market positions. Crude oil closed down with WTI on the NY Mercantile Exchange settling at $45.99 per barrel off 1.18 percent. The markets are questioning if OPEC production cuts are having any impact on global markets.